These new thumb screws are a welcome improvement. I find them more aesthetically pleasing as they match the matte black finish on the rest of the case interior, and they are just as easy to work with. Happily, the new thumb screws can be used to secure four Norco SS-500 drive cages! Well, sort of. They mostly fit, but you’ll find that a few of them are a bit loose or won’t tighten completely. I’m not sure if the screws or the screw holes on the drive cages are to blame. 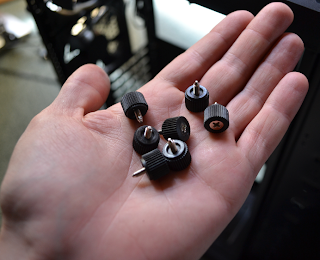 Either way, as long as you aren’t moving your server around too much then these screws should be fine to use. 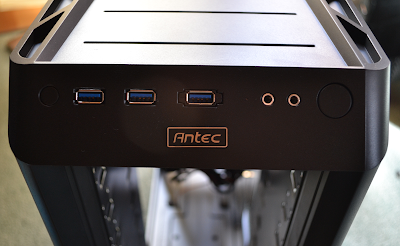 Antec doesn’t provide you with enough of the thumb screws to secure each cage with four on each side, but you can use just two per cage on the backside or three per cage on each side and be just fine. 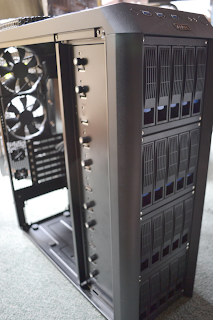 However, if you plan to ship your server as I will be doing with this one, then I recommend using the (expensive!) Norco screws for a tighter fit. And yes, you do still have to flatten the tabs separating the 5.25″ bays. Protip: when installing Norco SS-500 drive cages into this case, make sure that the drive trays face down as in the photo above. This is the only way the screw holes will line up correctly. Also, adjust the depth of each cage such that the vertical pattern of two screw holes lines up, not the pattern of three. I haven’t noticed anything else about the case that has changed. The Antec Twelve Hundred V3 3.0 is still the most economical and flexible solution for a 20 Drive tower case readily available in the US. Edit: Just after publishing this blog post I received this email from Antec! 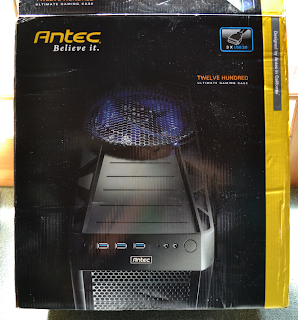 Thank you for contacting Antec. 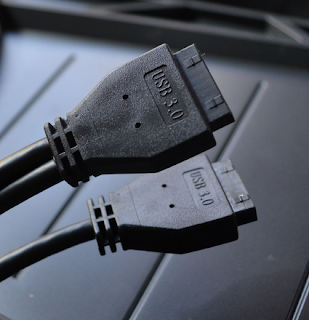 We do have the USB3 to USB2 adapters for your case. I will contact our Parts Division on getting you these adapters out to you. 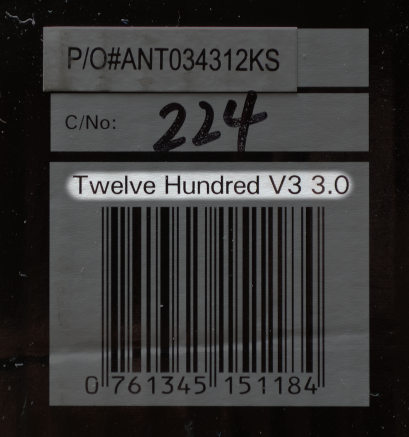 You should be receiving them 7-10 business days from now.